Sherman's Match: The Pulaski Environmental Center of Savannah | Williamson Williamson Inc.
“This studio will be guided by the supposition that technology is never neutrally deployed but always encompasses ideology, whether consciously declared or subconsciously assumed. Our field of operation will oscillate between practice and theory without subjugating, in the name of idealized principles, the one to the other. Working in pairs, your research will focus upon material adaptation and deployment with particular attention paid to the technical exigencies and contemporary discourse associated with sustainability. As opposed to the appliquÃ© of energy conservation technologies, the studio will mandate the adaptation of an abstract spatial field to performative criteria. We will seek to extend the concept of material systems by embedding their material characteristics, geometric behavior, manufacturing constraints, and assembly logics within an integral design model that promises an understanding of form, material, structure, and behavior not as separate elements but rather as complex relations. Our presumption will be that the City of Savannah Department of Environment (SOE) and the State of Georgia have partnered to develop a new Pulaski Environmental Center (PEC) along the intracoastal waterway adjacent to the historic Ft. Pulaski and strategically positioned between downtown Savannah and Tybee Island, GA. The environmental center building will have many functions, including but not limited to being an educational resource on the cultural and ecological heritage of the area and serving as an operational base for research activities, environmental remediation and ecological rehabilitation, as well as a base for volunteer stewardship in the region. In many ways, Ft. Pulaski represents the historical circumstances of the South’s flawed and tragic tendency to overestimate the power of entrenched ideology in the face of agile innovation. 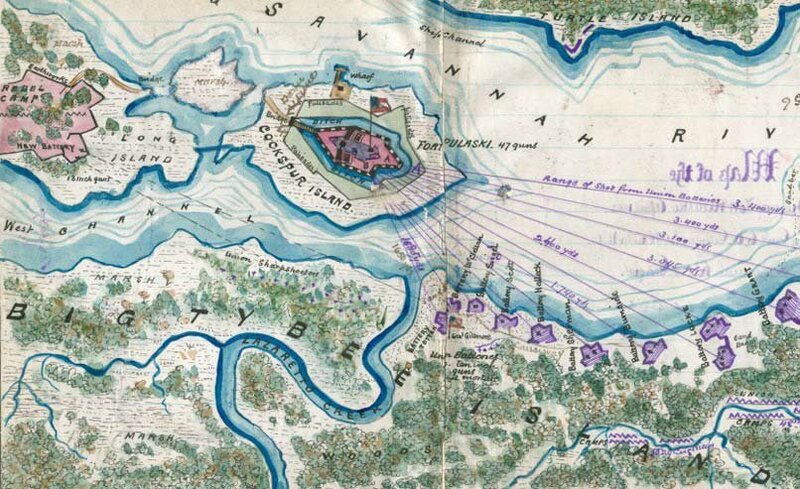 With its 11ft thick masonry walls masterfully supported on 70ft pilings in a marshy river environment, Ft. Pulaski was an icon of Southern impenetrability yet after only thirty hours of bombardment, Confederate troops inside Fort Pulaski surrendered to Union forces. The rifled cannon, an experimental gun that was being field-tested by Union Captain Quincy A. Gilmore, rendered masonry forts obsolete, with Ft. Pulaski being its first exemplar.